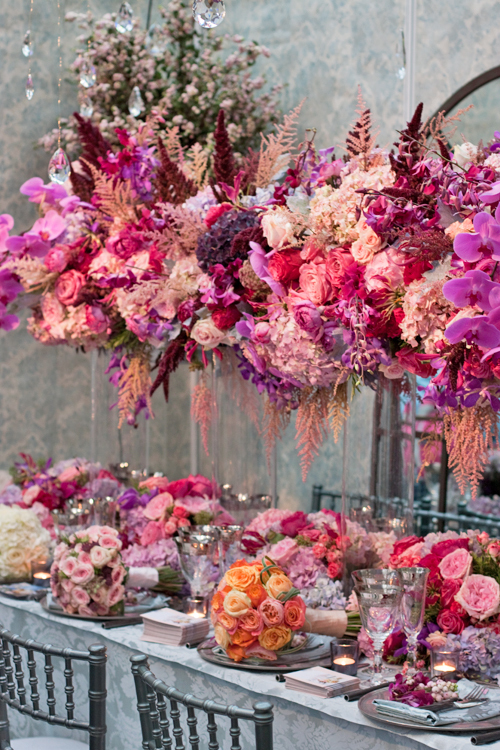 In this week’s Wedding Wednesday blog post, I’m delighted to feature florist Jamie Aston’s stand at Brides The Show in London earlier this month. 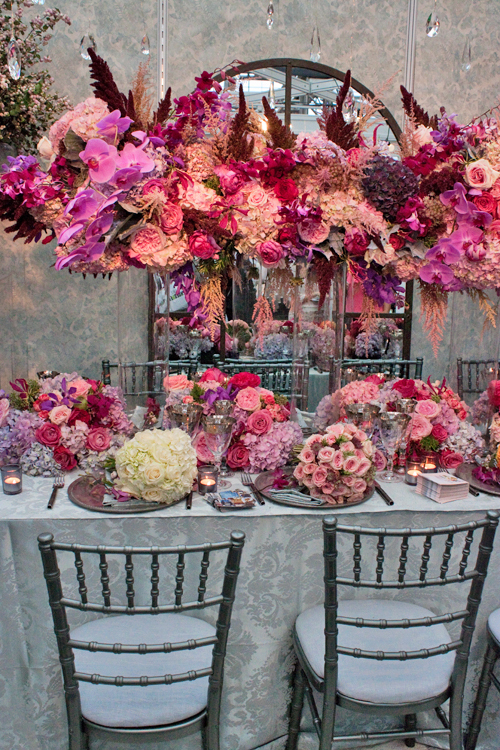 Taking centre stage and appearing to almost float above the table was a spectacular long floral design with an abundance of eye-popping colours and different textures. 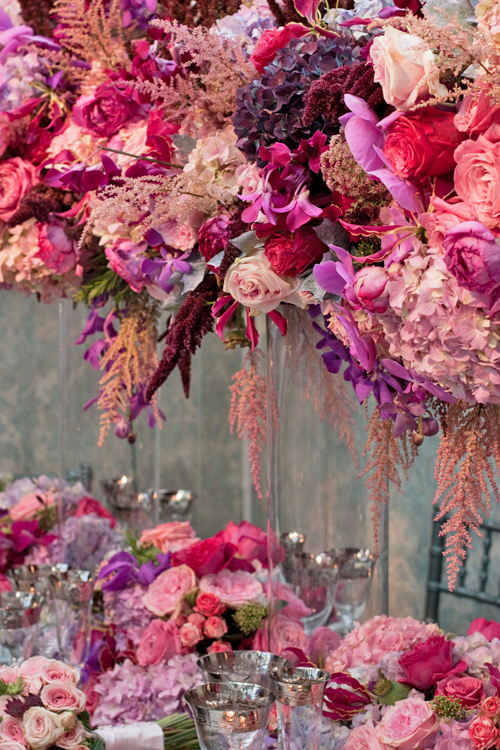 Phalaenopsis orchids, roses, hydrangeas, astilbe, dendrobium orchids, spray roses, amaranthus and gloriosa lily could all be found in the arrangement. This tall design was also complemented by a low design, which went down the length of the table. 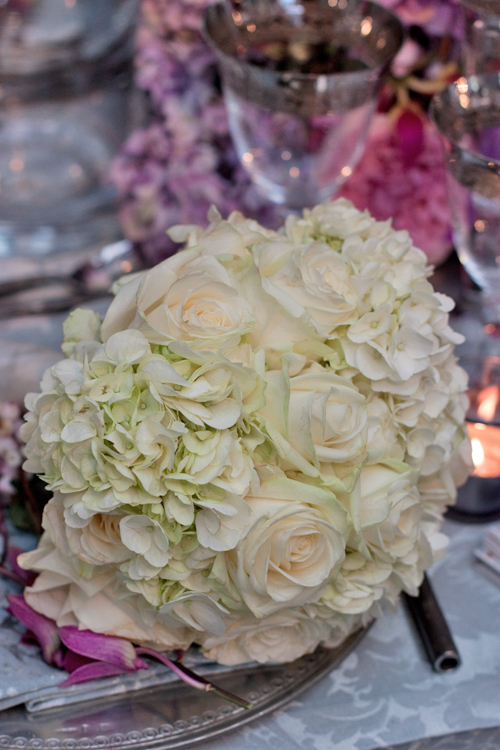 Jamie had created three gorgeous bridal bouquets, close-ups of which you can see below. I loved this pomander too! Stunningly opulent is how I personally would describe the style of this design. I’m sure your wedding guests would be in awe of it too! 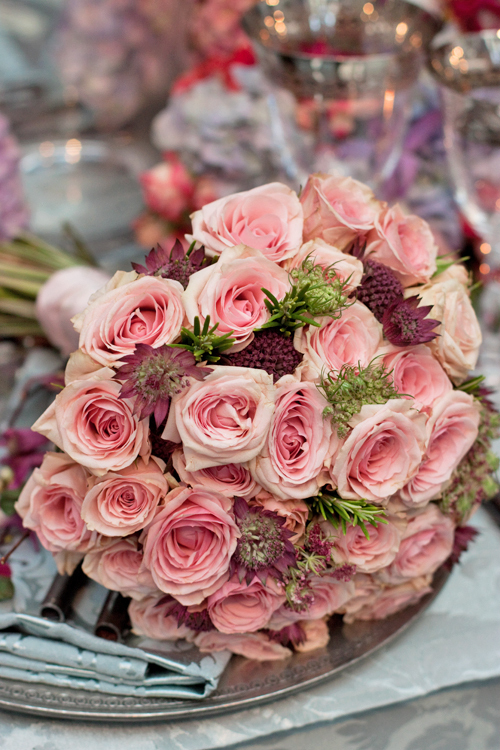 If you’d like to see more of Jamie’s wedding flower designs, do pop over to his new website. And on his blog, you’ll find more photos of this stand. P.S. In this Flowerona Reflects video, you can see footage of Brides The Show. 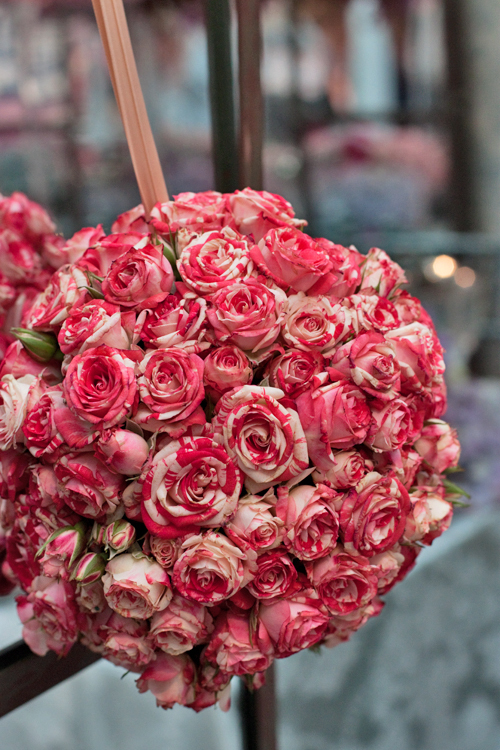 « Florists…would you like to visit the Serax HQ in Belgium next month? 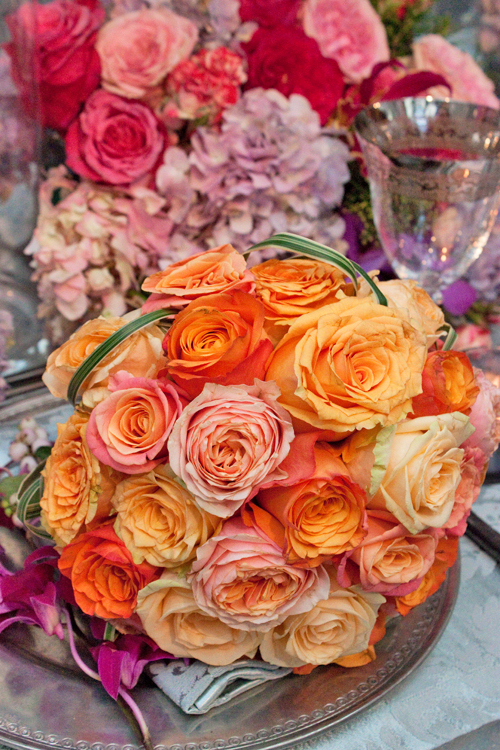 Although I am not a florist, just a lover of all things floral, I enjoy your site immensely. It makes my day to see your gorgeous posts. Thank you for posting these lovely pictures. lovely work, never seen your site before.